The North West Learning Disability Alliance (LDA) is a campaign group focussing on the rights of people with learning disabilities. The NW regional self -advocates forum met twice to identify their priority concerns which were due to be discussed at the regional conference in Blackpool. Members of the NW LDA attended a conference planning event and we discussed ways in which people could be supported to voice their views on services. It was agreed that given the need for local and national politicians representing their citizens to hear the views of people with learning disabilities, the conference would be a way to develop this with the help of social media. 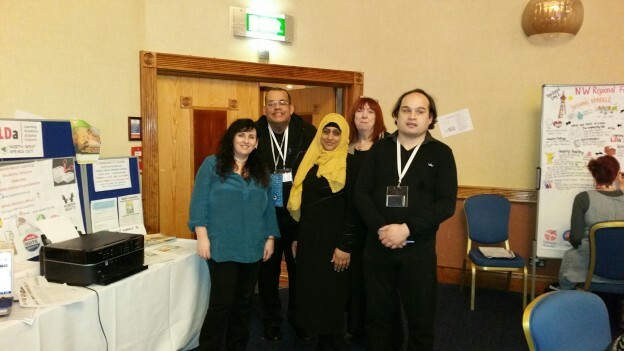 The NW LDA was then invited to have a stand at the conference in Blackpool. Talking Mats seemed the obvious approach to support discussions around the concerns as it provided a structured means of people expressing their views and provided potential objectivity in that people could also praise services, as well as voice concerns, which in fact some did! We wanted to take photographs of people with their mats as we felt it would bring the concerns or issues to life, it certainly seemed a more powerful way of enabling people to speak out. Our idea then was to e mail relevant local councillor or MP and to support people to get their voices heard wherever possible. Some of the challenge was in planning the vocabulary needed and in finding the appropriate visual scale. The list of concerns created by the self- advocates provided an ideal starting point. The scale we opted for consisted of symbols which enabled people to say whether they were worried about the topic or happy/not concerned. The topic itself was ‘services’. Finding symbols was a real challenge so we opted for a mixture in the end, photos, symbols, photosymbols and our own line drawings. We spent time with the self -advocates who produced a mat, first exploring their knowledge of social media, in particular Twitter and Facebook. Many already had accounts and e mail addresses, some people came ready with topics they wanted to get off their chests or people they wanted to praise. Everyone said whether or not they wanted to e mail their MP or local councillor with a photo of them and their mat and whether they wanted us to post the photograph of them with a mat on social media. For Twitter we used the hashtag our voices matter (#ourvoicesmatter). We had some positive responses, one person wanted to highlight how happy she feels in her new flat and one person specifically wanted to compliment his local councillor who he felt really listened to people with learning disabilities. Ivan Lewis MP tweeted his support for the campaign. In terms of learning for next year’s conference, we will develop the vocabulary and the process of collecting e mail addresses and twitter accounts for MP’s. One very valuable lesson we learned about the numbers engaged in the activity was to hold next year’s sessions before the party on the last night. It seems the participants at the self advocates conference work hard and play hard too! This entry was posted in Communication difficulties, Learning disability, Participation and tagged Learning Disability, Participation, Talking Mats on April 27, 2016 by Lois Cameron. 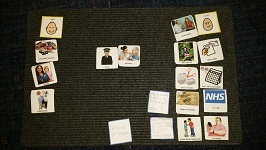 Talking Mats was used as part of a Speech and Language therapy assessment for a boy with a stammer (dysfluent speech). He was very aware of his stammering and would change what he was going to say or avoid some situations because he anticipated that he would stammer. He had low self-esteem about his speech and felt that whenever anyone laughed in his class, it was to do with his stammer. Talking Mats was used to gather information about which situations and people made speaking easier, and any situations and particular people which caused more of a challenge. 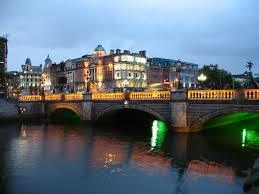 The activity provided much more information than originally anticipated. A starter mat was used to show how a Talking Mat worked, using pictures of food. He engaged well with this, and understood the process quickly. We then moved onto discussing his speech – we wrote names of people in his life and situations which involved speaking onto pieces of paper, and he placed these on the mat where he felt appropriate. We started with people and situations which appeared more positive, then gradually moved onto those it was anticipated would be more challenging. His insight into his speech and what helped him or made speaking more difficult was impressive. We were able to use this information to compile a list of “Do’s and Don’t’s” for people he came into regular contact with. He agreed that this information could be shared with school to give them strategies to support him there. The most powerful part of the Mat was him being able to say that he did not feel happy about talking with his big brother sometimes, because he could make fun of his speech, and this made him feel really upset. This was a powerful revelation for his Mum who had sat in on the session, as she had not realised he felt this way. After the session, the family had a chat around the table at tea-time about how his therapy session had gone that day – with Mum’s support he was able to say to his brother about how his teasing had made him feel. His older brother had thought it was all a bit of fun and hadn’t realised the impact it was having. They agreed the older brother wouldn’t tease him anymore. When he came back for his next session, he commented on being much happier about his talking at home, and felt the activity had been really helpful. His Mum was very positive about it too, and proud of how he had managed to speak up for himself and be able to say how other people could help him with his talking. This entry was posted in Blog, Children and young people, Communication difficulties, Participation, Talking Mats principles and tagged Children, Communication difficulties, Participation, Talking Mats on April 15, 2016 by Rhona Matthews. We have an additional 2 new Talking Mats training venues – one in Liverpool on 21st April and the other in Dublin on 18th May. Both courses combines hands on experience of Talking Mats with role-play, discussion and reflection of the use of both the original and digital version of the tool in a variety of real-life situations. 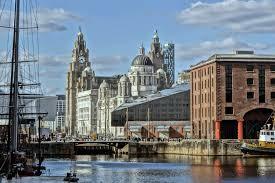 Here are a comments from people who have attended our training courses recently. I thoroughly enjoyed the training. Found the mix of DVDs to see how it is done and the practical tasks to be well balanced. Fantastic presenters – interesting and enjoyable training which I can take forward to enhance my practice in promoting effective communication and respecting service users wishes. 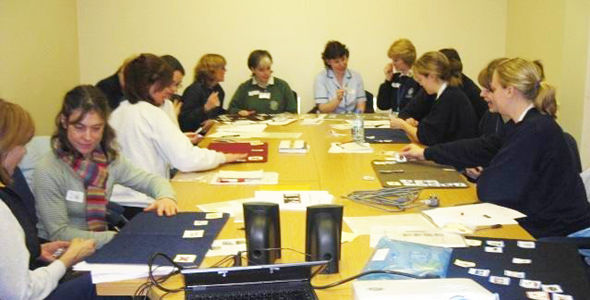 We know that to get the most benefit from Talking Mats it is best to combine our resources with a training course. The most cost effective way to undertake your training is to buy the training and a resource together. This way you can put your training into practice straight away and use Talking Mats to its full potential. Combining with a resource means the training will cost you only £65.00! It’s a fantastic deal. To take advantage of this – click on your desired location below and select either the digital or original resource most suited to your client group to accompany your training. This entry was posted in Blog on April 8, 2016 by Joan Murphy.